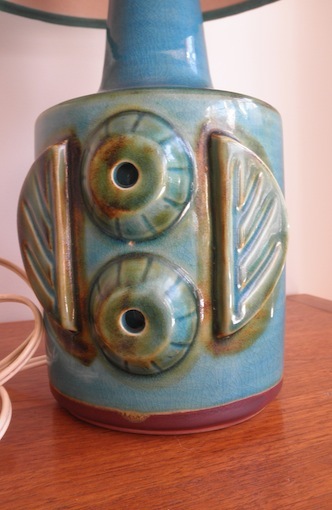 This beautiful classic retro Danish lamp is by Soholm who are a traditional stoneware ceramics company. 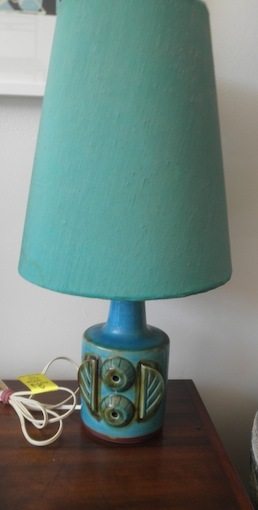 It comes with a matching original blue/ green silk shade that picks up the tones in raised forms on the base. This lamp has been tagged and tested and is ready to make a statement on your sideboard. Circa 1960.